Does The Hydraulic Motion Of The Body Fit Rowing Machine Really Work At Home? The Body Fit Rowing Machine isn’t built like your typical at-home rowing machine. In fact, there isn’t much to the design at all. 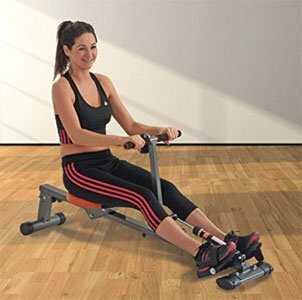 This exercise rower uses a hydraulic action with a fixed handlebar, moving seat and small frame. There are also adjustable footplates for support and a console for the data. This should provide a simple, apartment-friendly approach to a workout, but does it deliver?